30 For 30: "The Two Escobars"
"The Two Escobars" airs tonight on ESPN at 9 p.m. Eastern. If you're unfamiliar with the stories of either Pablo Escobar or soccer player Andrés Escobar and don't want to be spoiled, this review will delve into historical spoilers. But definitely watch it. The short version: It's great. It's always a shock when the real world intrudes into the world of sports. Sports are supposed to be separate from everything else, a place where certain things are immortal and the outside is kept at bay. Sports are supposed to be holy, on some level, and when, say, terrorists hijack the Munich Olympics or an earthquake halts the World Series in its tracks or a famous athlete is revealed to be fallible, it feels wrong somehow, impure. And yet sports are no match for the real world all the same. If tragedy is going to intrude, then tragedy is going to intrude, and there's really nothing that can be done about it. "The Two Escobars," perhaps the finest installment of 30 for 30 yet, precariously balances between those two poles, hoping for elation but knowing that the worst is coming. The two Escobars of the title are Pablo Escobar, the infamous drug kingpin and cartel head, and Andrés Escobar, a captain of the Colombian World Cup team in 1994 that was considered a possible threat to win the entire tournament. At first, it seems as though the film might strain to incorporate the full sweep of both men's lives and tie them together, but directors Jeff and Michael Zimbalist manage this feat in a surprisingly organic way. The lives of the two men are outlined so succinctly and so skillfully that when the Zimbalists begin drawing the web that tied their two lives together tighter and tighter, the film takes on the impressive, tragic weight of a stage tragedy, where events that spin beyond the control of anyone at the center of them conspire to thwart ambitions. Everyone from Pablo Escobar's former right-hand man to former President George H.W. Bush makes an appearance (if only in newsreel footage in some cases), and the sweep the Zimbalists give to the story of one soccer player's death feels earned by the time the film enters its rawly powerful final half hour. Both of the Escobars at the story's center die. Pablo dies after being hunted for years and years by rivals and former friends who turned against him and the Colombian government (funded and aided by friends in the United States). Andrés dies after he scores a decisive own goal against the United States in a World Cup match, an own goal that effectively eliminates Colombia from the competition in the first round, something no one expected. But the events that lead to his death are more complicated, stemming, seemingly, from his inability to let go and his foolhardy decision to leave his house and try to go out and have fun in the wake of his mistake. Now, obviously, he should have been able to without fearing for his life, but death threats rained down around the team after they lost their first World Cup game to Romania. Those threats, mostly broadcast by drug kingpins who bet heavily on the game and lost millions, became even more present once the team was back in Colombia. What's amazing is how readily the Zimbalists are able to toy with our allegiances. Andrés is the only person here who gets out with anything like a clear conscience, but the film's willingness to keep anyone from being a clear-cut, cookie cutter hero or villain is impressive. Pablo Escobar is a bloodthirsty psychopath who eliminates his enemies and anyone who stands in his way with absolute impunity, and when the nation mourns the way he coldly eliminates any officials who stand in his way, it's easy to feel as if the country should have considered all of this when they built their foundation on blood and cocaine. But Pablo Escobar is also a man who does what he can to help the poor of his country, and whether his actions are self-serving or not (both possibilities considered by the Zimbalists), the film still points out that the people he helped were better off after him than before him. Similarly, the film portrays the sheer seduction of money to people who've never had very much as we watch person after person fall under the sway of Pablo, simply because they like their creature comforts. There are good people and bad people in this film, but no one is wholly pure or impure. Where the film's two intersections come are at the beginning and the end. The latter should be discovered in the moment, but the former is the intriguing basis the rest of the piece is built on: Pablo Escobar loved soccer above all else, and, as such, he funded the local teams and later the national team, as they slowly became the pride of Colombia, the one thing most Colombians could call an unequivocal good. 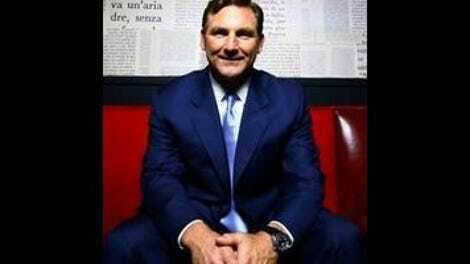 But it's that basis in drug money that becomes the ultimate undoing of the team at the most critical moment as well. Without the drug money, the program withers and dies, and most of its officials are thrown in jail for being complicit. The second anything like this happens, sports cease to be the holy thing we wish them to be. But the only way sports can exist at this level in a country like Colombia is via some sort of compromise. So deals are made with the devil, and things end poorly. The way of things. There are moments in this film that are as powerful as anything you'll see on a screen of any size this year. 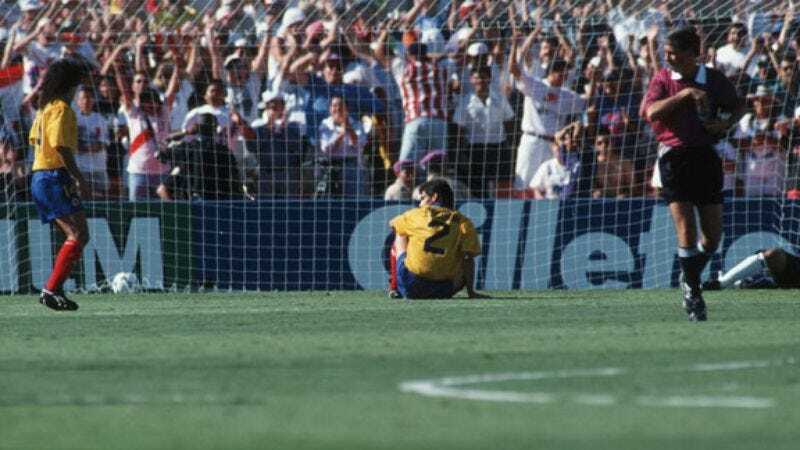 A series of montages showing the rapid rise of the Colombian team and the sheer grace of their level of play evokes something like pure joy, while the moments leading up to Andrés Escobar's death are heart-rending. The Zimbalists do a canny thing by putting the own goal at the very top of the movie, then circling back to the very beginning of the story. By the time it arrives again, there's so much weight behind it and so much fear of what will come next (even if you don't know the story) that a series of silent shots of Escobar diving to block a shot and accidentally deflecting it into his own goal become almost chilling, a single moment that no one can go back and correct. The film's portrayal of Colombia as a nation that made its compromises and learned to live with the hell they unleashed is also particularly good, as the story of the two men at the center slowly radiates outward to encompass more and more of the nation's society. "The Two Escobars" isn't quite perfect, though it's damn close. In particular, Andrés seems like such a saint that it feels like he shouldn't be sharing this movie with any of the other people at its center. It's entirely possible he was this good of a person, but his portrayal borders on saccharine from time to time. Similarly, the section late in the film that recounts the trial of Andrés' killer and his potential accomplices threatens to stop the film in its tracks, following up some of those deeply powerful moments with what feels like a perfunctory need to check some resolution off the list. But these small marks against the film don't keep it from being alternately moving and thrilling. It's hard to think, sometimes, that our lives might come down to one moment, to one mistake that becomes larger than the sum total of everything else we ever did. And yet, that often seems to be the case, particularly for athletes. The Zimbalists play that own goal over and over and over because it's a moment in time we wish we could step in and fix, a moment that might not have to lead to the sadness that follows in the aftermath. When we think of big mistakes in sports, we think of the ball dribbling through Bill Buckner's legs or Chris Webber calling timeout or Jim Joyce blowing the call and robbing the perfect game. But while these moments hung heavily over the lives of these men for at least a little while, if not their whole lives, they weren't moments where you could see the thread leading from that point to that life's end. That the Zimbalists are able to show just how deadly what seemed like a simple mistake could be is one of the things that makes this film work. The other thing is our sense that, somehow, there could be a way to stop that ball from going in, to restore a man to life, to keep the real world out. For a little while at least. And instead, it keeps going in. Over and over and over and over.